Our practice is fully equipped to perform radiographs (commonly called X-rays) on your pet. Our veterinarians will perform a physical exam and discuss with you should your pet require radiographs. 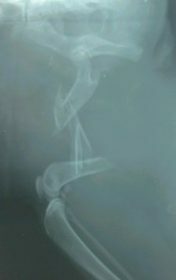 Radiographs can be a very useful diagnostic tool, particularly for conditions involving bone, the chest or the abdomen. In some cases a patient may require sedation to allow us to take good quality radiographs. This is used in cases where our patients are required to sit perfectly still or if they need to lie in an awkward position. Dr. Chris Boemo is certified to take and interpret PennHIP (Pennsylvania Hip Improvement Program) radiographs. PennHIP is a method used to screen for Canine hip dysplasia and for the detection of arthritis of the hip. 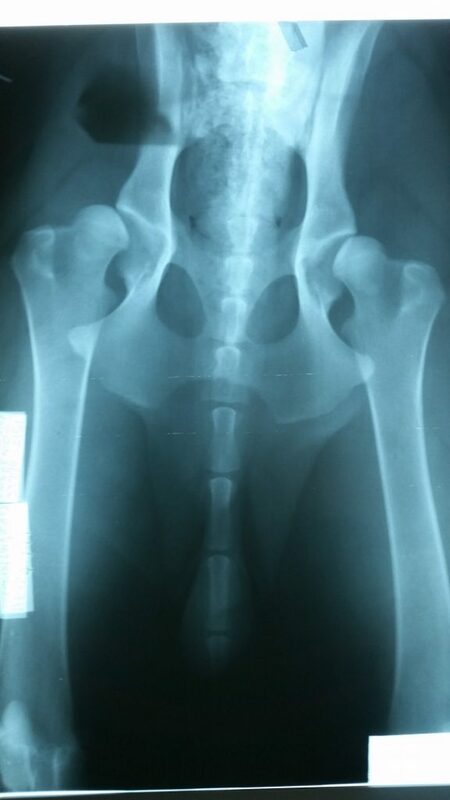 Canine Hip Dysplasia is one of the most common, heritable orthopaedic conditions of dogs. It can affect all breeds but is especially an issue in large and giant breed dogs. PennHIP allows us to accurately predict if a dog is likely to develop hip dysplasia and arthritis. PennHIP assessments can be carried out from 12 weeks of age. PennHIP is a scientific method used to evaluate a dog for its susceptibility to develop hip dysplasia. The radiographs involve a specific positioning of the dog so that we can evaluate the “passive hip laxity” basically, we are measuring the looseness of the hip joint when muscles are relaxed. Three different radiographic views are needed, a hip extended view, a compression view (where the femur is pushed fully into the joint socket) and a distraction view (a specific positioning device is used to show the maximum laxity of the joint). PennHIP analysis has been shown to be more accurate at predicting the susceptibility of a patient developing hip dysplasia than an extension only view. It then allows us to begin surgical intervention or preventative physiotherapy for at risk patients. Our practice is equipped with an ultrasound to assist in the evaluation of your pet if required. 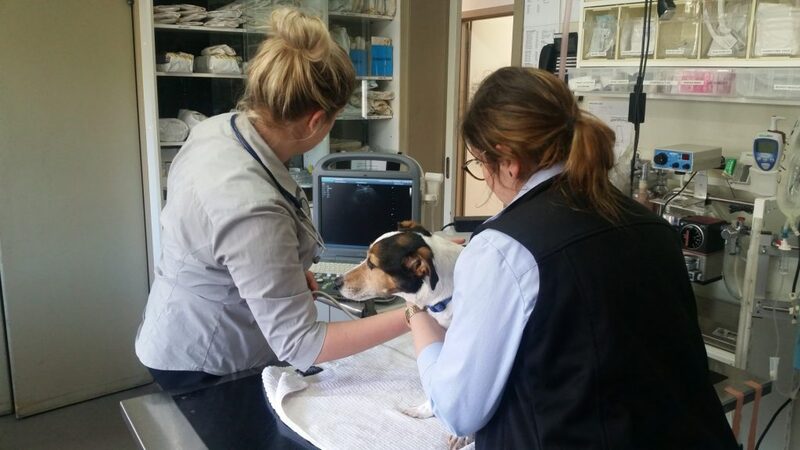 Our veterinarians will discuss your pets case should your pet require an ultrasound examination. Ultrasound uses high frequency sound waves to painlessly produce images of internal organs and structures. This can be a very useful diagnostic tool, particularly for conditions involving soft tissues such as the abdomen and the heart. Most of our patients are admitted into hospital for half the day to have their scan performed. We request that your pet be fasted from midnight the night before their scan (unless it is an emergency in which case the scan will be conducted as soon as possible).